These babies are soft-baked! Little puffy vegan pumpkin cookies w/ cream cheese glaze all flecked with vanilla bean seeds. They lie at the intersection of cake and cookie, but the glaze (made with my secret pleasure: Tofutti brand better-than-cream-cheese) really pushes that cake-like indulgence aspect. I tend to get my fill of pumpkin pretty quickly after Canadian Thanksgiving passes, so these little dream puffs are right on time, marking that slow descent to a less pumpkin-obsessed existence. Just in case you were worried about things getting a little tooooo basic ’round here. But can we cool it with the #PSL parade for real? We can do better than that. I think these cookies could be made into a fine whoopie pie situation (do people still make those? ), and would be just as delicious with a smear of chocolate ganache on top in place of the cream cheese glaze. I use canned purée because the organic one I buy is pretty great and dang if I didn’t want cookies like, yesterday. Also, if you have leftover purée, I’ve got some hot tips on using that up: a cookie-ish bar scene, an airy loaf cake (with optional bacon, babes), a delicious shake, pancakes!, or perhaps even a waffle if you’re so inclined. Make with the autumnal treats! Notes: If you’re baking these ahead of time, the cookies themselves are good for a day or two sealed in a container at room temperature. I would apply the glaze right before you plan to serve them up, if the option is available. In a medium bowl, whisk together the spelt flour(s), baking soda, baking powder, spices, and sea salt. Set aside. In the bowl of a stand mixer fitted with the paddle attachment, mix the sugar and shortening/coconut oil on medium speed. Once thoroughly mixed, add the apple sauce, ground flaxseed, pumpkin purée, and vanilla. Mix until fully incorporated. With the mixer on low, add the flour mixture. Mix until all of the flour is just absorbed. Remove the bowl and paddle from the mixer and give both a good scrape with the spatula, just to make sure it’s all mixed. Drop heaped tablespoons onto the prepared baking sheets, about an inch and a half apart from each other. I rolled my bits of dough into balls just to get a nicer shape, but this isn’t necessary. Once you’ve dropped all the dough, slide the baking sheets into the oven and bake for 16-20 minutes, rotating the sheets halfway. Remove cookies when lightly brown on the bottom and cool thoroughly, either on the baking sheets or cooling racks if you want to get the job done faster. Whisk all of the cream cheese glaze ingredients except for the almond milk together until you have a smooth mix. Be cautious when adding the almond milk, going a teaspoon at a time. Once you have enough in there to form thick ribbons when you drag a spoon out, you’re good. Apply 1-2 teaspoons of glaze to the top of each cookie. I like to grate some fresh nutmeg on top at this point. Some toasty pumpkin seeds stuck to the tops might be nice and festive as well. Amazing!!! Photos are pure beauty!! Really, how do you achive this gloomy dark effect? Come fall, I always have frozen pumpkin or a jar of pumpkin puree on the go. I just finished a jar yesterday, and these look like a great excuse to dig into my frozen stash 🙂 Thanks to the Quebec farmers’ markets, I doubt I’ll run out of pumpkin anytime soon. It’s definitely an abundant time of year for squashes and tubers around here too. Thanks Ksenia! These sound unreal! Loving that vegan glaze! I love your photos and the cookies sound amazing! Guhhh. These photos! The light! This post screams fall. 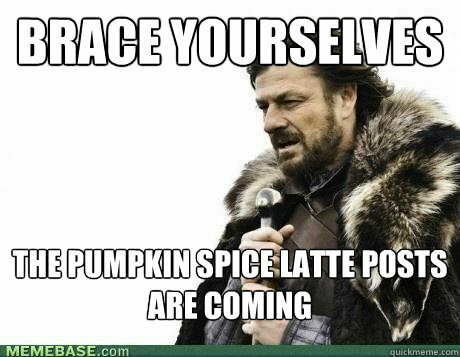 I’m still down with pumpkin spice but usually hang it up right before December…then, molasses!! Totally. Awesome. And I love the light! Hi Liz, you could replace the light spelt with all purpose and the whole spelt with 100% whole wheat or whole wheat pastry flour if you like. I’m confident a half and half mix off all purpose and whole wheat pastry would work too. Wow what an awesome colour these cookies are your pictures are incredibly beautiful, I’m pleased I found your blog today. Thanks for saying hello, Rebecca! Beautiful photos, Laura! I think I’m going to have to go get some Tofutti cream cheese too, the glaze sounds like the perfect topping for these! Yes, I am totally feeling these as a whoopie pie! They look so soft and pillowy–lovely! Great post:) These look like my kind of cake/cookies! Your photos really help set the scene for a cozy fall day.